This innovative and dynamic method for growing plants originated over 100 years ago by William Frederick Gericke. 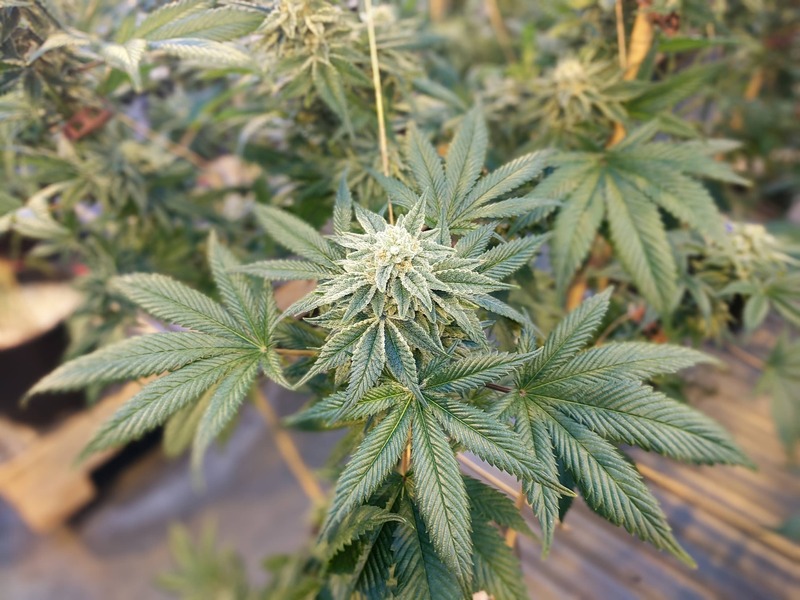 Although the method was designed for vegetables and other garden plants, marijuana pioneers quickly realized the vast benefits of incorporating it into the world of cannabis growth. Hydroponics has revolutionized the way growers cultivate their plants and also raised the level of quality on the buds produced. Everyone who loves cannabis and especially those who love growing it will find the marriage between marijuana and hydroponics inspiring! We have decided to dedicate this article to those wanting to understand and use this extraordinary, and yet rather simple, method of growing for themselves! Let’s start with the basics, so we can build a strong understanding of what it is we’re talking about. The name “hydroponics” comes from the Latin language, and it translates directly to ‘water working’. This is a method of cultivating your cannabis where you grow each plant in a flow or bath of water that is both heavily enriched with healthy nutrients and highly oxygenated. When using the hydroponic method of growing, you will not be using any soil at all to pot your plants in, and there is no sterile or inert growing medium. Every part of the nutrients and substance that your cannabis needs will be provided by the solutions in the water you use. This sophisticated method allows the nutrients, water, and air to get to your plant directly through the roots. Due to your plant not needing any extra energy to absorb these essentials and no need for massive root webs into the soil, your marijuana grows way faster! When cultivating the perfect crop and yield, you will have to control the entire atmosphere in your hydraulic system because of the way that the plants draw all of their nutrients from both the water and the air. 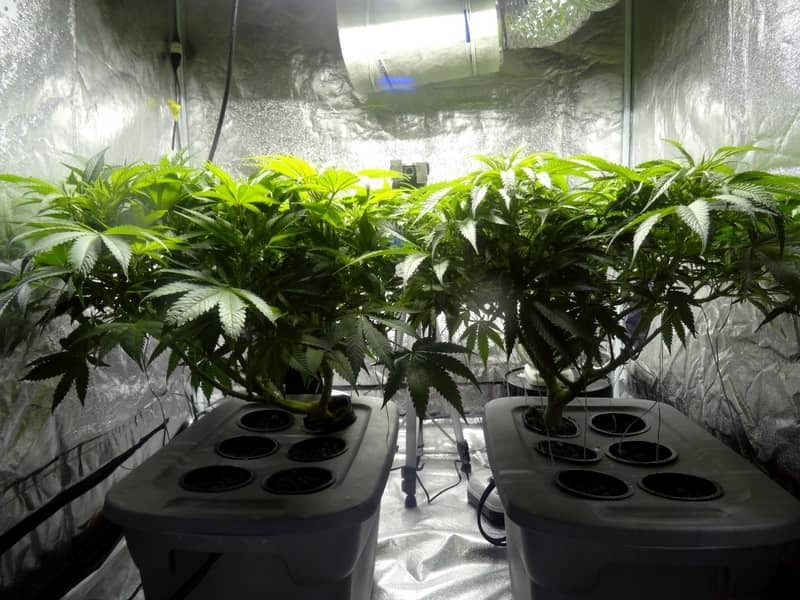 Hydraulic systems are ideal for those who are wanting to grow their marijuana in an area with minimal rainfall, and for those wanting to try an innovative and very rewarding new way of growing their plants. What Are The Benefits Of Hydroponic Cannabis? When we look at mother nature, we see that organic matter decomposes in the soil and then breaks down into the basic nutrient components such as Potassium, Phosphorus, and Nitrogen salts. These salts then get dissolved in water so that the roots of your plant can absorb them. So, if you’re looking for a way that your plant can get a perfectly balanced intake of these nutrients, then everything must be perfectly balanced in the soil. The only problem is, this is impossible to achieve because of the contamination, the biological imbalances, and the insufficient amount of organic matter on the surface of the soil. One of the biggest advantages of working with a hydroponics system is that you can finally find the solution to this problem with soil, by removing soil completely and working only with the water. You can completely control and balance the intake of nutrients, as well as manage the environment your plant grows in – which is a massive plus! 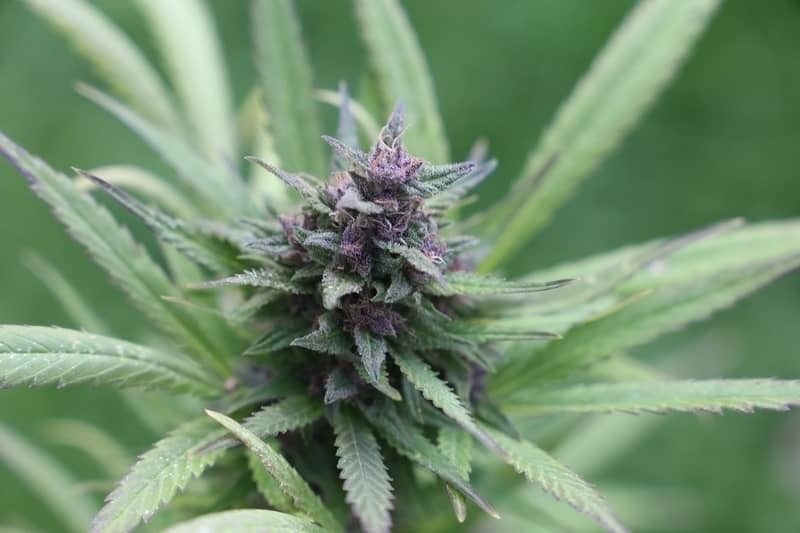 In comparison to the soil, water can contain and keep a lot more nutrients and therefore allow you to grow stronger, healthier and more quality buds. This is why hydroponic marijuana is the queen of all marijuana! It smokes clean, it has a fresh taste and it provides a higher THC content than cannabis that is grown using any other method. Another benefit of hydroponic weed is, during the growing process, you won’t ever have to deal with any kind of garden pests or weather issues. You have smooth sailing from beginning to end! We understand that growing your own weed can be difficult sometimes and can get complicated, but everyone who has done it knows that it is extremely satisfying! One of the best things about growing your own buds is that you will never have to worry about quality or quantity, and you can choose which strain you like most. There are a huge variety of methods at your disposal when growing either indoors or outdoors, but the most advanced (and often more fun) method is hydroponic weed growing! Indoor growing with the hydroponic system is so much more productive and a helluva lot stealthier than growing with soil. We will help you understand how to grow hydroponic marijuana. If you’re a beginner, you might find that starting your hydroponic weed system can be intimidating and overwhelming at times, but don’t give up! Get your hydroponic weed setup on the go with our easy and comprehensive guide. 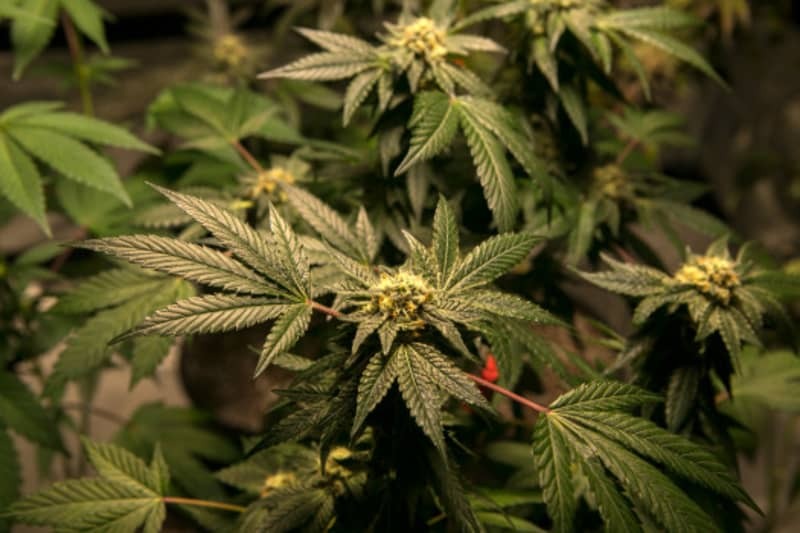 All plants, including your marijuana, don’t actually require soil. What they really need are some elements found within the soil. Those elements are Potassium (K), Phosphorous (P), Nitrogen (N), Sulfur (S), Magnesium (Mg), and Calcium (Ca). These are known as macroelements. To begin broadening our understanding of the nutrients needed in a hydroponic setup, let us look at each compound and discuss its uses. Nitrogen is one of the most important chemicals needed for every plant. It works as a building material for the enzymes and proteins. The most important of these factors is chlorophyll. Chlorophyll is the green pigmentation of your plant and is entirely responsible for photosynthesis. During the vegetative phase of growth, if your room temperature is below 80 degrees you will need a higher dosage of Nitrogen. However, if it is above 80 degrees you’re in the clear and won’t need to add extra to the original formula. Phosphorus is another very important element, as it helps your plant transform solar energy into chemical energy needed for growth. This compound is vital to the maturation of your plant and its immune system. Phosphorus is also the mother of all your terpenes, oils, waxes, and plant sugars, which are responsible for giving your marijuana its flavor. Potassium is an essential key for healthy early plant growth, photosynthesis, and protein production, as well as the flower formation (very important!). This element is entirely responsible for the movement of nutrients, sugars, and water through the plant tissue. Potassium is also vital for the longevity and the standing persistence of your plant. The roles and functions of Potassium in cannabis growth are all general, but extremely important for healthy crop production. 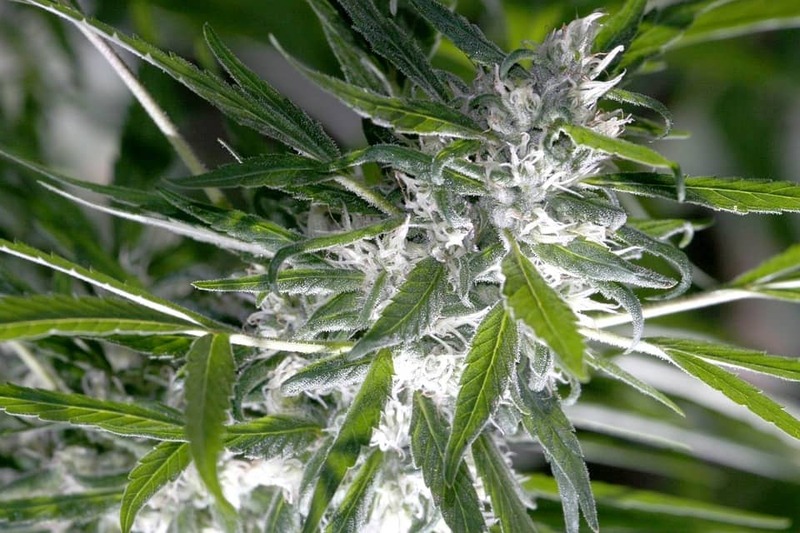 Calcium is an important aspect of the cell walls of your marijuana. This element provides the strength of your plant, as well as the retention and transport of other elements. Magnesium is another essential element for photosynthesis. Magnesium is a part of chlorophyll in all plants and also activates many of the plant’s natural enzymes required for plant growth. Sulfur is important for proper growth of the roots and for the seed production. It has many different functions in your plant’s metabolism. Sulfur is necessary for the production of vitamins, enzymes, and proteins. Trace elements are just as important as all the other elements. 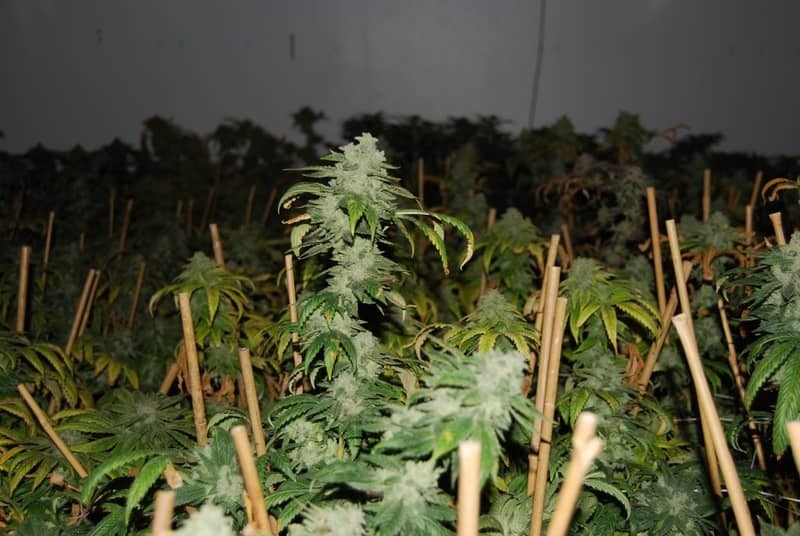 However, when it comes to marijuana, only small amounts are needed for proper functioning of your plant. Trace elements required for healthy cannabis growth are Manganese (Mn), Chloride (Cl), Molybdenum (Mo), Zinc (Zn), Boron (B), Copper (Cu), and Iron (Fe). 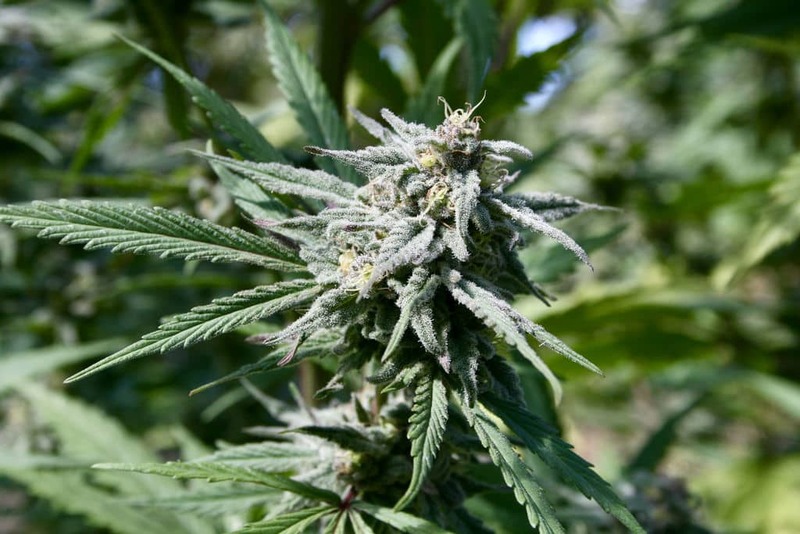 Non-essential additives are organic substances that your marijuana plant produces on its own. These elements don’t really need an external source for growth, but what’s awesome about them is that they can aid growth and flowering significantly! In a handful of the pre-made nutrient solutions, there are some of these non-essential additives included, but their role in the increasing of the growth has not yet been proven. 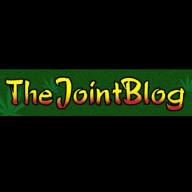 We suggest that you go ahead and experiment with those if you like, although we also recommend that you do so when you are already experienced in marijuana growth. If you are a beginner, it’s always better to stick to the basics. There are also some microelements that are needed for healthy growth of your plants, like Copper (Cu), Zinc (Zn), Boron (B), Molybdenum (Mo), Manganese (Mn), Chlorine (Cl), and Iron (Fe). So, keep in mind that when you use the hydroponic system for weed plants you are basically creating a perfectly balanced nutrient solution by mixing these nutrient salts with water. You can easily create an all-purpose nutrient solution with all of the secondary elements and it will get your plant thriving through all of the growth stages, but sometimes it’s better to adjust nutrient levels depending on which stage of growth. We recommend that you purchase nutrients in the form of powder that can be mixed with water. This is a much cheaper option compared to pre-mixed nutrient solutions and you can adjust the percentage of the nutrients on your own. So we know that classic fertilizers are used when you grow your plants in the soil. However, when it comes to hydroponics, all of the nutrients go into the nutrient solution. Therefore, the water you use is also effectively a fertilizer. The thing to remember is that an overload of the fertilizer will probably kill your plant, so don’t over fertilize it. An under-fertilized plant will grow a lot slower, but at least it won’t die. If you are not sure, then it will be best to follow the instructions on the solution package you use and remember it’s always better to use too little than too much! The water that is in your tank will evaporate and then get happily absorbed by your plants, then the water level in the reservoir will drop. When this happens, all you have to do is simply refill the reservoir with tap water that you left to age for 3 days. Be sure not to add any nutrients when refilling the tank. You will need to change the solution of nutrients that you have used once every 2 weeks. This means that you have to dispose of all the old nutrient solution and clean out the entire system. Wash everything that is used with hot water. After that, you can go ahead and add the water and nutrients to the reservoir. Ever Since the modern hydroponic systems first began, the majority of people used HID (High-Intensity Discharge) lights such as High-Pressure Sodium or Metal Halide lights for indoor growing, and lately LED lights. 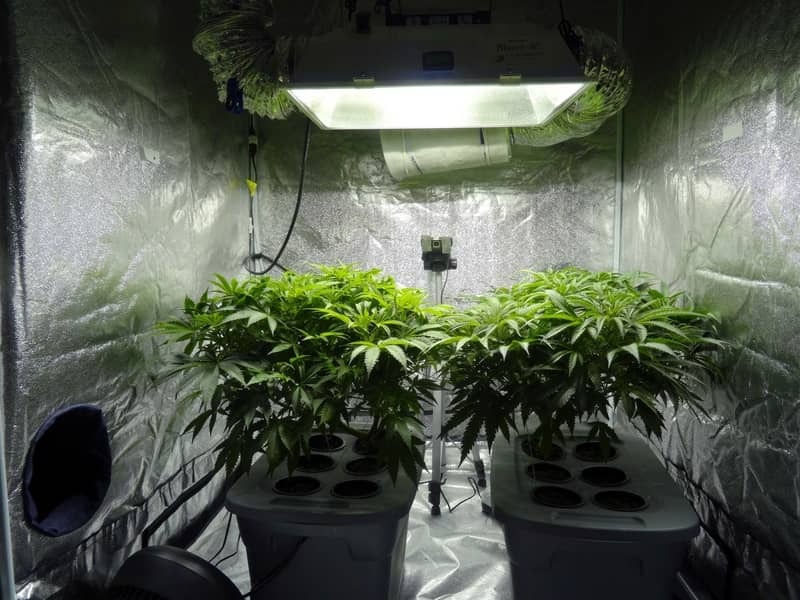 The metal halide light is best for the vegetative phase of growth. High-Pressure Sodium lights provide more of the orange, red and amber light, and these are best for use in the flowering stages. We suggest that you use both of these two lights together for different phases of growth or at the same time. HID lamps provide enough light for proper growth of your plants, however, they do waste a lot of energy in the form of heat. Manage this with a proper ventilation system, but you will also have to buy a ballast to use with them. Professional cannabis growers have turned to full spectrum LED lights lately, as they allow you much more control, and they don’t use as much electricity as the HID lamps. Another bonus is that the space and heat issues are decreased. 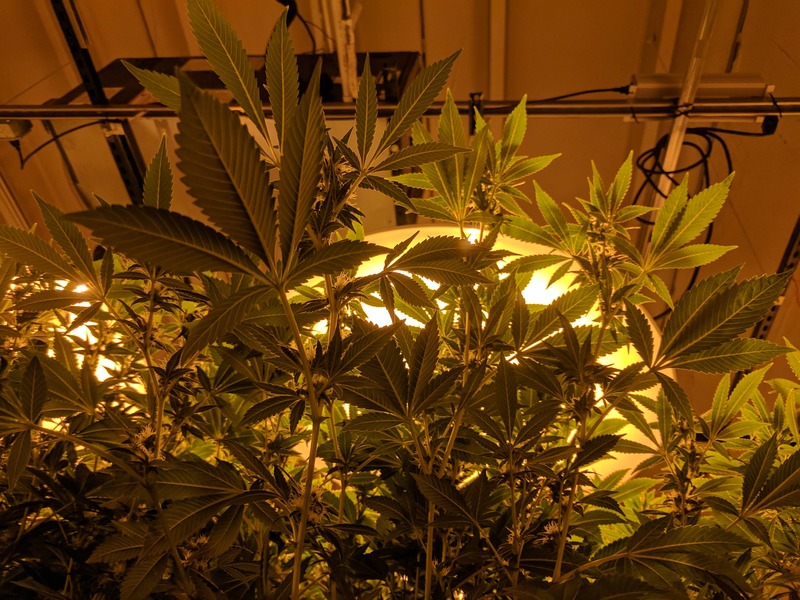 One of the best things about LED lights is that they offer a spectrum tuned perfectly for all growth stages and they don’t require a ballast, making them a better solution. 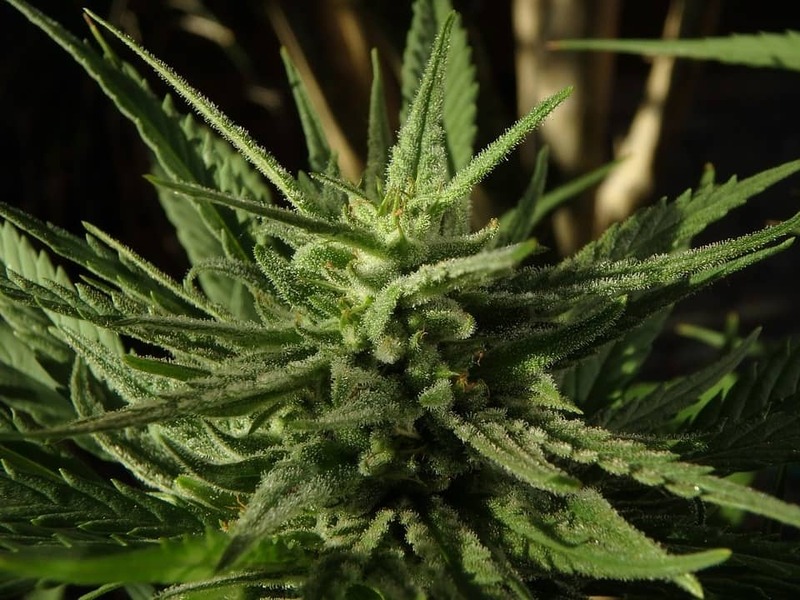 Light cycle timing is extremely important as marijuana (both Indica and Sativa strains) use night/day light cycles to trigger crucial growing responses. When you grow weed indoors, it is essential that you understand the difference between the vegetative and flowering phase light cycles. So to put it in layman’s terms: MH lamps provide the highest proportion of blue wavelength light, which is ideal for early growing phases as it promotes the bushy and compact plants. HPS lamps, on the other hand, provide a more orange and red wavelength light with a small amount of blue range. These help you to trigger the bud formation and enhance the flowering. The full spectrum LED lights, however, offer the best value for the price. They allow you to grow from seed to bud using just one light. 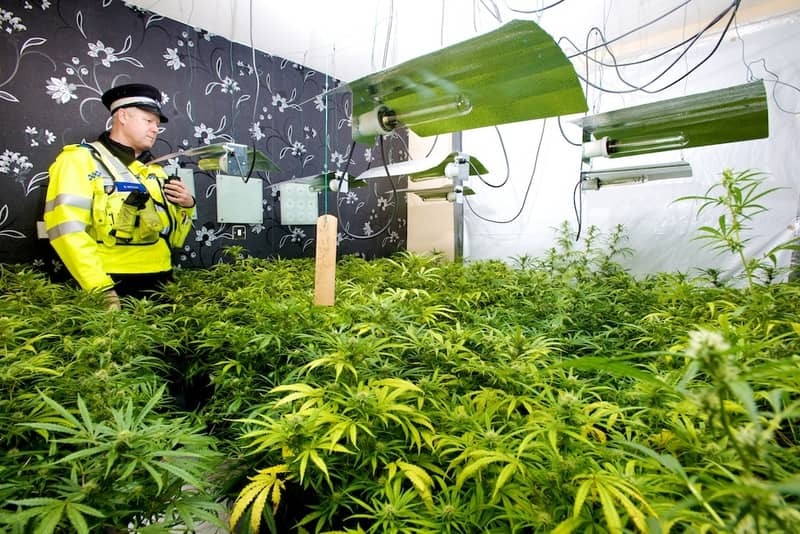 They also use half of the electricity HPS lights use and they don’t produce so much heat. After the seed’s germination has been completed, your plant then moves onto the vegetative phase of growth. This phase is also known as the “photoperiod” and it’s in direct relation to the hours of dark and light. You can effectively control the growing cycle of your plants by managing the amount of light they receive. Your cannabis plant’s vegetative growth can easily be replicated by simply keeping the lights on for 18-24 hours and then turning them off and giving them 0-6 hours of darkness. You can use either MH/HPS combination or the LED lights for the vegetative phase. HPS lights are not so active in a blue/green part of the spectrum and are not useful during the early vegetative phase. Due to the heat generation, MH lights can be really harsh on your marijuana during the early phase. If you are planning to use HPS lights later, it’s best that you start with LED or CFL lights. The main objective here is to replicate nature. Your marijuana plants germinate and start to grow in spring, as this is when temperatures are not as hot as it is during the later phases. In nature, your plants will start to flower at the end of the summer as the days become shorter, so to trigger the flowering phase you’ll need to switch to a different light cycle. Simply provide your plants with 12 hours of light and 12 hours of darkness to trigger the flowering phase. You will want to make sure that you do switch to the flowering cycle when your cannabis plants are between 12 and 20 inches tall so that you can maximize your overall harvest. Once the flowering phase has been triggered, you will only notice a change in one to two weeks. Note: It is crucial that you remove all if the male plants when you notice them! These guys don’t produce buds, only pollen. This pollen will cause all of your female plants to have seeds in the buds and no one likes to smoke seedy weed. 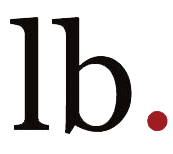 The type of system you will want to go for is an ebb and flow system. It is the most popular because it’s very simple and remarkably easy to use. 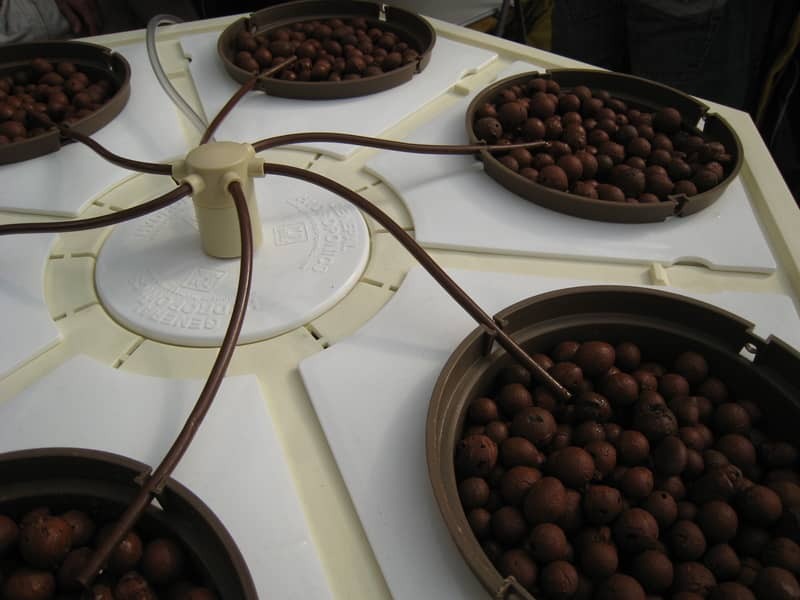 This system consists of a reservoir that contains the nutrient solution and it’s placed under the growing tray. Your plants are supported by this soil-free medium that will be used as an anchor for the roots. Most of these mediums are usually made of stone, fiber and/or porous so they can properly retain water and air. Your marijuana plants must be placed in the tray where you put the growing medium (lava rocks or Rockwool). This system requires a growing bed that is filled with a solution of nutrients by a pump that is easily connected to a timer. The pump is then shut down by the timer and the solution is slowly drained back to a reservoir. Everything functions pretty smoothly! You will need to pay attention to the reservoir. Your reservoir is responsible for holding the nutrients as well as the water that your plants need. Make sure that you pick a large reservoir that can hold enough water and nutrients to sustain your plants for one or two weeks. Another thing to consider is evaporation, so make sure your reservoir has a lid. For convenience, locate your reservoir near the water source so you don’t have to use hoses or buckets. Make sure that you invest in a sturdy reservoir and buy 3 of them. One reservoir you’ll need to hold the water and nutrients for your system. The second one holds the tap water in for 2-3 days so all the chlorine can evaporate to neutralize the pH. The third one is simply a spare in the event that one of the two reservoirs you are using breaks. You can also see guidelines of the ingenious DIY Stink Bud System. This is an innovative method that incorporates both hydroponics and aeroponics. Which Strains Make The Best Hydro Weed? When it comes to deciding what strain to grow, that is entirely up to your own personal preference. Certain strains require more attention than others, and it’s because of this that we have decided to give you a few suggestions on the best strains to grow hydroponically for beginners. All of these strains offer you something unique and will provide an unforgettable growing experience. Once you have experimented and grown some of these properly, your skills will grow and so will your confidence in your green thumbs! Hydroponic weed is incredible and will continue to gain attention as the years go on. Whether you are cultivating, using or treating yourself with hydroponic weed, it is an excellent choice for all. Connoisseurs and beginners alike will all remember the buzz from this one-of-a-kind type of cannabis! Now that we have provided you with everything you need to know about this sophisticated process, we suggest you go out and give it a try yourself, and let us know how it goes! 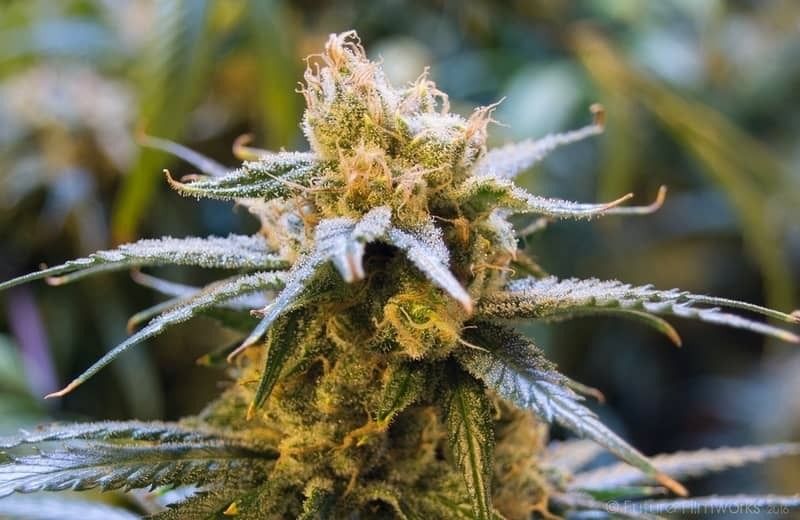 The post Everything You Need To Know About Hydroponic Weed appeared first on Cannabisgourmet.net.